Snoring may not be just about the bothersome noises emitted by a person while asleep – it can indicate a more serious condition, like sleep apnoea. It can be easy to dismiss snoring as something that can be avoided by changing positions while sleeping, but it will still be best to get this condition checked as soon as possible, just to rule out the presence of any underlying medical condition. Frequent snoring that is accompanied by changes (or pauses) in the breathing pattern of a sleeping person may actually be a sleep apnoea problem. 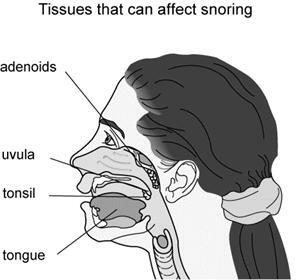 If you or a loved one is known to have snoring problems, it is a good idea to monitor the breathing patterns as well, so the condition can be distinguished by the dentist at Woodbury Dental and Laser Clinic as either a simple snoring concern, or sleep apnoea. Sleep apnoea is a medical condition that normally includes snoring as a symptom; it is often caused by a blockage at the back of the throat, resulting in interrupted breathing patterns while a person is sleeping. The changes or pauses in breathing patterns forces the person to wake up frequently in the middle of the night, robbing that person of the ability to have uninterrupted deep sleep. The interruptions in sleeping patterns can in turn make a person less attentive or less energetic during the daytime – because the body was not given the chance to fully recuperate with restful and uninterrupted sleep at nighttime. Chronic loud snoring – this can be caused by an obstruction in the breathing passageway, which may be the result of the soft tissues of the back of the throat relaxing while a person is asleep. A feeling of sleeplessness of sluggishness during the daytime, as a result of a night full of interruptions that prevent the person from getting the deep sleep the body needs to fully recuperate and repair tissues. Frequent trips to the bathroom during the nighttime, resulting from the frequent interruptions in the sleeping pattern. 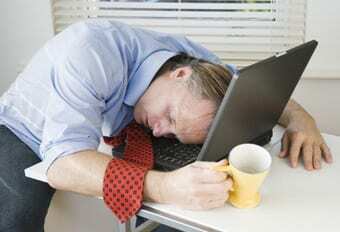 Difficulty in concentrating on even the simplest tasks during the daytime. A person with sleep apnoea can also suffer from forgetfulness because the body and mind did not have a chance to rest completely during the nighttime. Obstructive Sleep Apnoea (OSA) – This is the most common type of sleep apnoea. This occurs when the soft tissue at the back of the person’s throat relaxes during sleep, blocking the air passages and interrupting regular breathing patterns. Obstructive sleep apnoea is also a common cause of loud snoring. Central Sleep Apnoea – This is a more rare type of sleep apnoea that does not have anything to do with obstruction of the breathing passages; central sleep apnoea involves the central nervous system, and and occurs when the brain does not send signals to the muscles that are responsible for controlling the breathing patterns. Snoring is rarely a symptom of central sleep apnoea. Complex Sleep Apnoea – This is a combination of the symptoms of both obstructive sleep apnoea, and central sleep apnoea. Sleeping on your side can prevent snoring or obstructive sleep apnoea, since sleeping on your back causes the soft tissue at the back of the throat to block the breathing passages. Keeping the head elevated during sleep can also prevent the blockage of air passages. Weight loss can help in reducing the occurrence of blocked air passages. People who have excess weight are more prone to snoring, and also to sleep apnoea problems. The consumption of caffeine, alcohol, and heavy meals a few hours before bedtime should be avoided to reduce snoring and sleep apnoea problems. Smoking should also be avoided. The dentist at Woodbury Dental and Laser Clinic can help in identifying the underlying cause of the problems when self-treatment or the tips above do not working in improving sleep apnoea and snoring concerns. A breathing device may be provided to help manage the obstructive sleep apnoea problem; supplemental oxygen may also be given while you sleep. A CPAP (Continuous Positive Airflow Pressure) device may also be given to provide a constant stream of air as you sleep, to keep the breathing passages open and free of blockage.